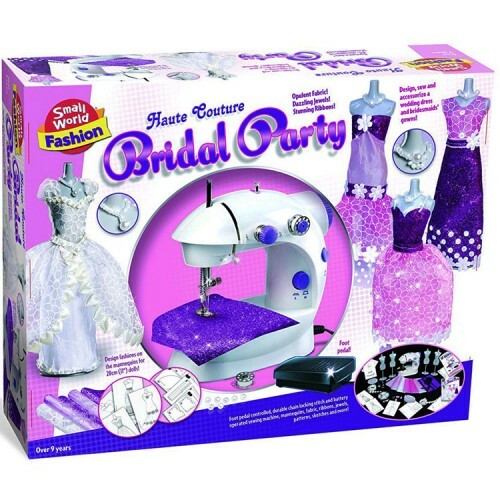 Haute Couture Bridal Party set with kids sewing machine, fabric, and tons of wedding dresses sewing accessories is an awesome gift for girls who love fashion and craft! Calling all young bridal fashion designers to create their unique fashions for the modern brides! 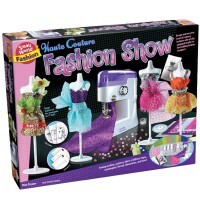 Haute Couture Bridal Party Fashion Craft is one of the best gifts for older girls who like sewing and fashion design. This creative sewing set for girls features all the equipment and accessories to design and create sparkly one-of-a-kind wedding dresses. 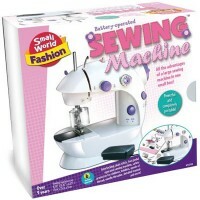 This girls wedding dresses sewing set by Small World Toys includes a kids sewing machine (6.5 x 3 x 4.5 in.) with a foot pedal, 4 plastic toy mannequins (8.75 in. tall), opulent fabric swatches (8 x 8 in. 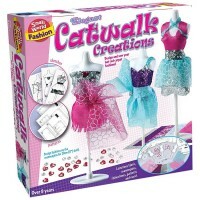 each), rhinestones, pretty ribbons, special sewing machine extra needles, a sewing needle, needle thread, screw opener, wedding fashion design sketches, patterns, and illustrated instructions. Follow the bridal design ideas from the booklet, or create your own stunning brides outfits to display them on the enclosed mannequins. 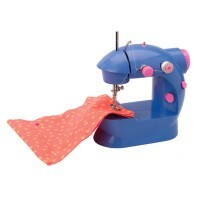 Sew the dresses on the powerful battery-operated sewing machine and impress your family and friend with the glamorous display of bridal couture fashion. 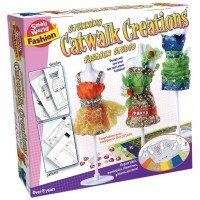 Girls will also enjoy designing the wedding dresses for their own 11-inch dolls. 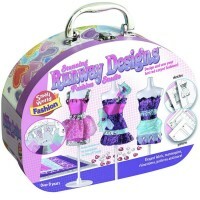 Elegant wedding gowns, sparkly bridal party dresses, unique dazzling combinations of fabrics and jewels - your young fashion designers imagination is the only limit with this girls sewing set. Adult assembly and supervision is required. 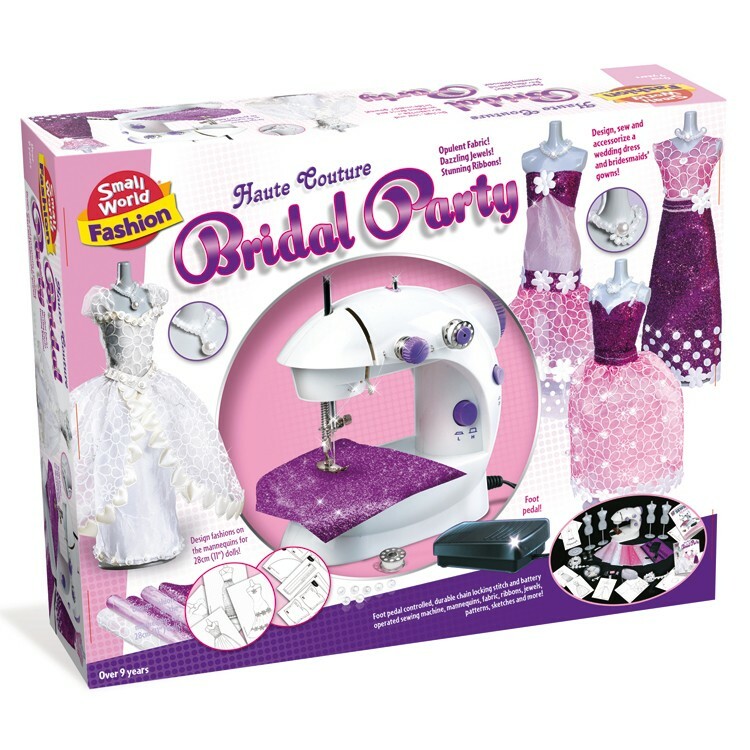 The Haute Couture Bridal Party Fashion Craft requires 4 AA batteries for the children sewing machine (not included). 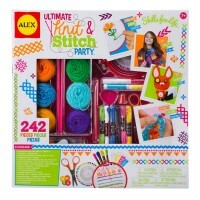 This wedding theme sewing kit will make a deluxe dream-come-true gift for fashion and craft loving girls! 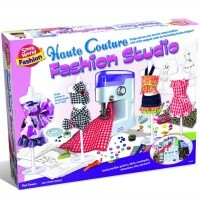 Dimensions of package 19" x 4.75" x 15"
Write your own review of Haute Couture Bridal Party Fashion Craft.